Consider yourself a good cook? Have a great rice pudding recipe? Suggest a recipe and your could recieve a ###. 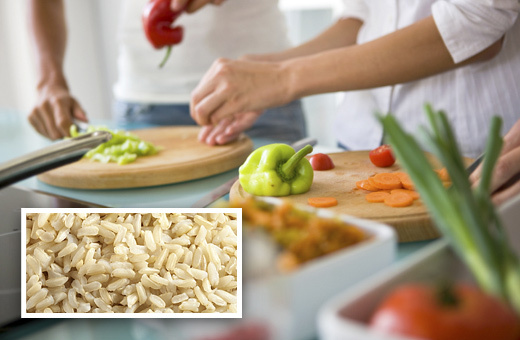 Mahatma … America’s Favorite Rice is a healthy, great-tasting choice for side dishes and delicious main courses. When you eat rice, you eat right. Bring milk to a boil for about 5 minutes (if skin forms on top, don't remove, stir it back in). Add rice. Lower heat. Simmer for 45 minutes, continuing to stir. Add sugar and simmer for 15 more minutes. Shut off heat but leave pot on the burner. Whip eggs in a blender. Then very slowly and carefully pour hot rice mixture into the blender, filling to about ¾ full (do not completely fill blender). Cover and whip about 30 seconds, then add whipped mixture back into pot. Stir well and cook for 3 minutes more. Stir vanilla into rice mixture. Pour into a large bowl and refrigerate overnight. Allow rice pudding to solidify. Cover with plastic wrap. Sprinkle with cinnamon when ready to serve.